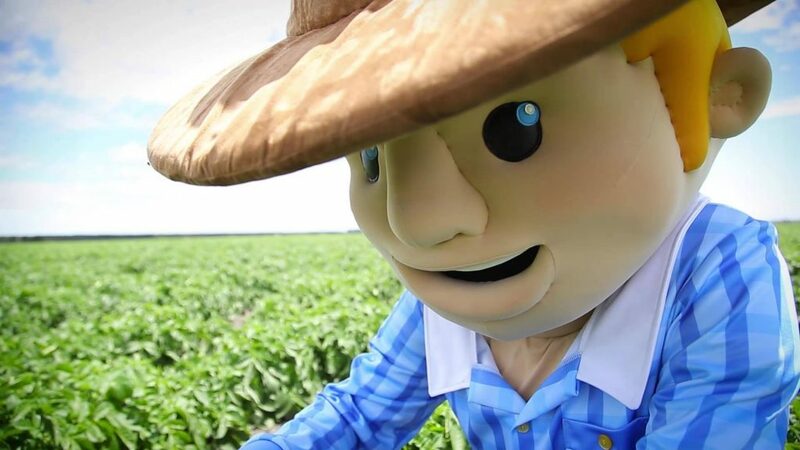 George the Farmer joins National Ag Day! 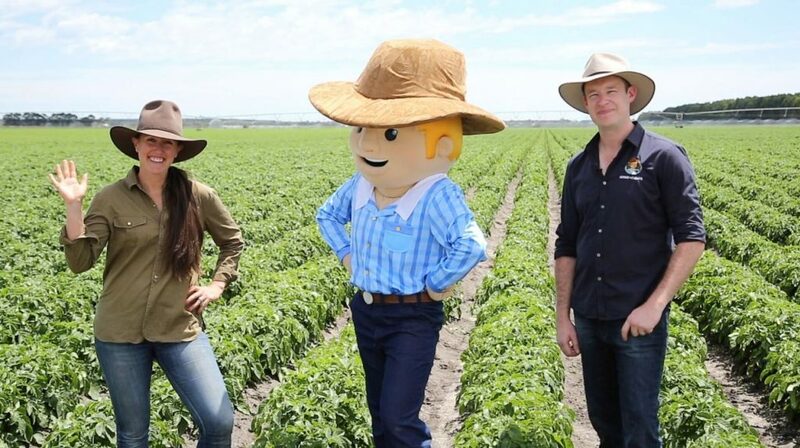 George the Farmer is one of Australian agriculture’s best mates. 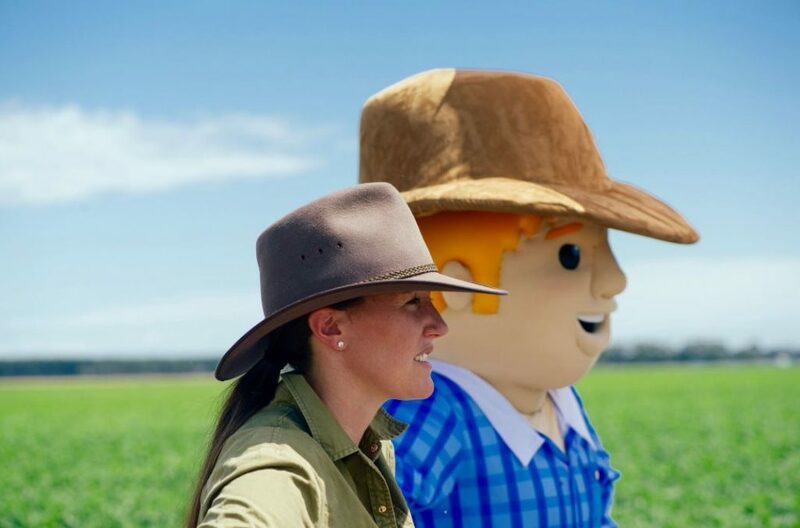 The National Farmers’ Federation is stoked to welcome George back for another year as an official National Ag Day ambassador! This AgDay, Wednesday 21 November, Australia celebrate how our farmers #GrowforGood. We’ll be shouting from the rooftops about how agriculture makes the world a little bit better every day by improving the health of our communities and our planet. 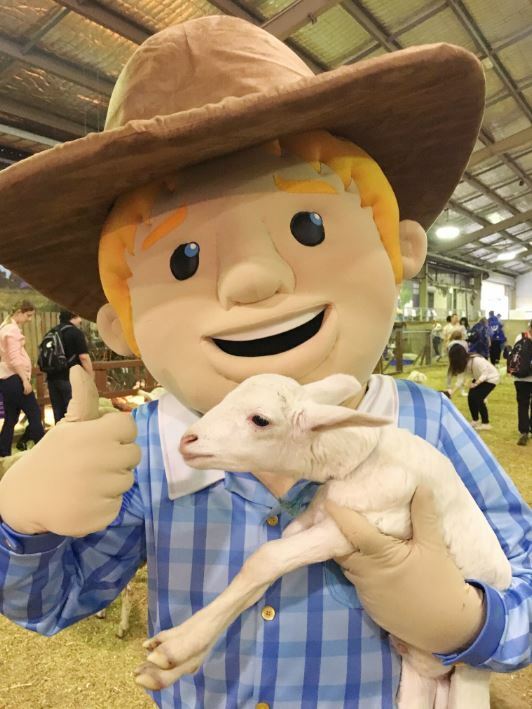 This week, George dropped by to have a chat with the team at AustralianFarmers head of National Ag Day on 21 November. Why do you love National Agriculture Day? Mate, I think every day should be National Agriculture Day! Agriculture is the back bone of our country and without it, we wouldn’t be able to survive. 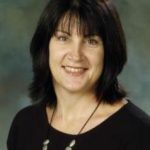 Here in Australia, we’re so fortunate to have access to clean, green, delicious food to nourish our bodies and first class fibres like cotton and wool to help clothe us. This has to be celebrated! The beaut song that I wrote for AgDay last year has a ripper line it; “we all need a farmer at least three times a day, but there’s plenty more to farming than putting out the hay” and ain’t that the truth. George helping out on the farm. 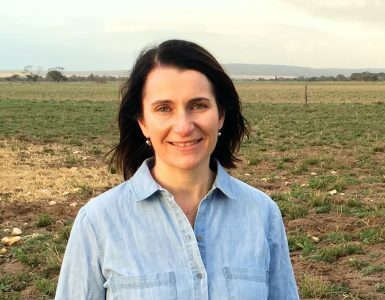 Agriculture is so diverse with regards to the different produce that we can grow right across Australia, but also the multitude of jobs that are available. Agriculture generates about 1.6 million jobs across the entire supply chain from farmers to agronomists, engineers, scientists and accountants. There’s so many ways to be involved in agriculture and that’s what’s so great about AgDay, it’s a day for everyone to celebrate – even the consumer as someone who gets to benefit at the end of the supply chain. What are you going to do this Ag Day? This year I’m going to be on the farm shearing. But we should be finished around lunch time, all going well, and then I’m planning on heading into Penola for a barbecue that the local machinery dealership is putting on. He’s a pretty generous bloke. That’s always a good afternoon. 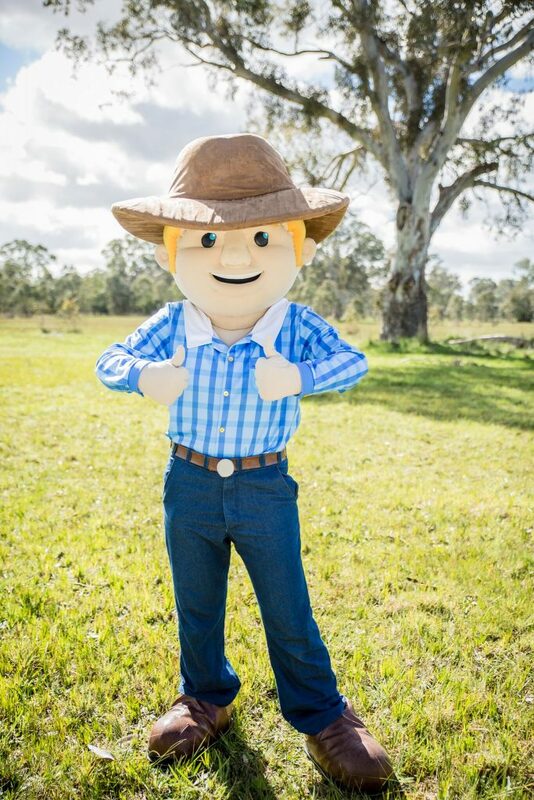 The following day, I’m heading over the border to Timboon P-12 School in Victoria for their Ag Day/Open Day celebrations. It’s such an inspirational school — they’ve got some ripper teachers working there that are very passionate about agriculture. 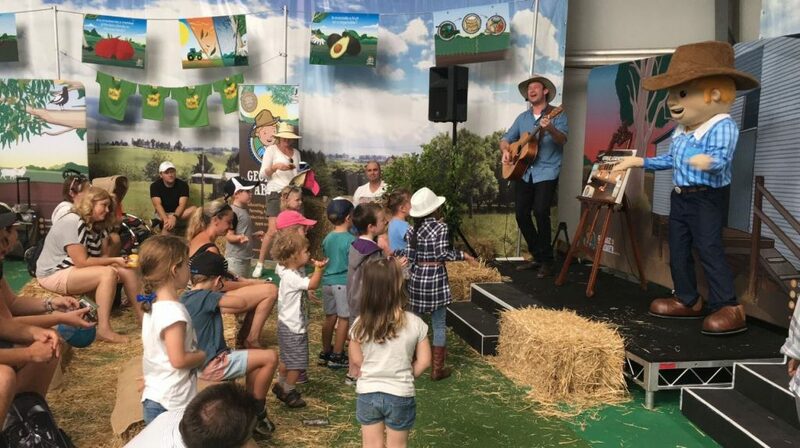 Last year and this year I actually did a Skype meeting with them about my books and the kids both times were so switched on and interested in all things ag — I can’t wait to get out there with my mates Ben and Simone to perform for them. It will be a beaut celebration. Why do you love being a farmer? I love the weather. One might say I’m a little obsessed. I like to listen and read probably 3-4 weather predictions a day. But hey, it’s very important for planning what is going on on the farm! 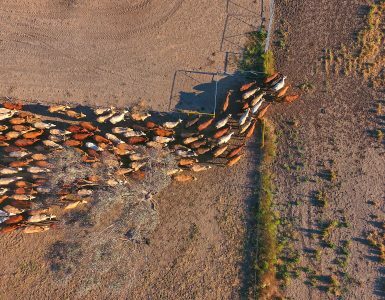 Most days are different – from fixing fences, to shearing, crutching, checking the waters, loading trucks, seeding, harvesting, spraying… I love the diversity. I’m really proud when I see our finished cattle and sheep heading off on the truck. 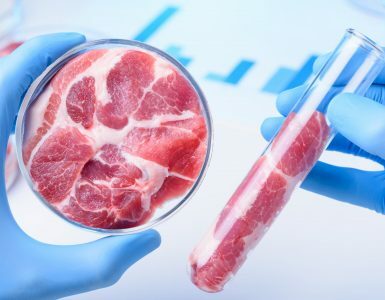 They’ve had a good, happy life — it shows — and I know the people around Australia or in another country who will have the pleasure of eating that meat, will be thankful too. George and Simone checking gout the nice weather after a hard days work on the farm. 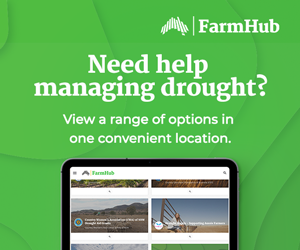 What are some cool things you’ve recently learnt about agriculture? Bees have two stomach compartments; one is for digesting their food while the other stores the nectar. They vomit the nectar out of their mouths into the hive and that’s how honey is produced! 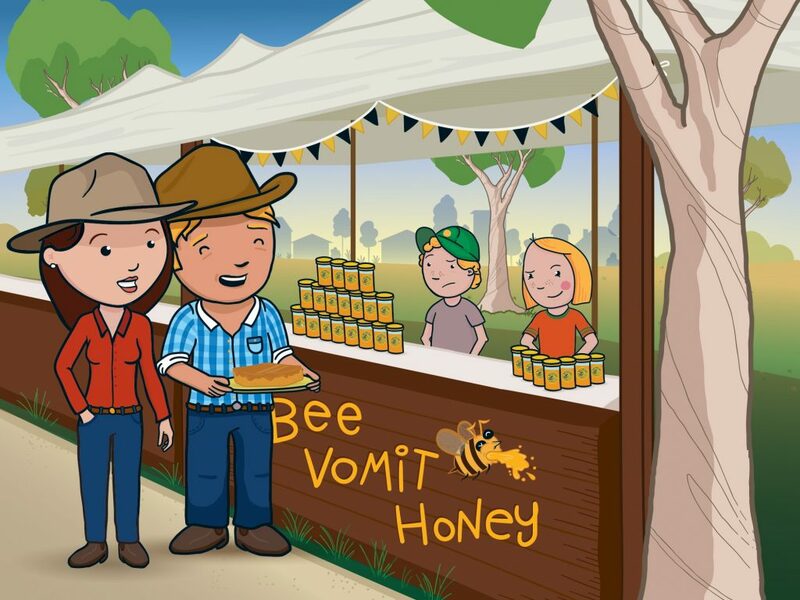 So honey is basically bee vomit! Bee’s only live for about eight weeks and produce one teaspoon of honey for their entire lives. When bee’s find flowers to collect nectar, they do a special waggle dance (moving their bums in the shape of a number 8) which directs their bee mates where to go. Imagine next time you’re giving directions, instead of speaking, you move your bum around in the shape of a number 8 to let your mate know where to go! Too funny! George in his book about bees. Thanks George for dropping by! Can’t wait to see you around this Ag Day – Wednesday 21 November!